Ayurveda describes Amla as Shriphala and Amritphala. It contains Brahmi and Amla infused into a rich virgin coconut oil. It is a potent hair oil processed as per the ancient method of Taila paka vidhi. 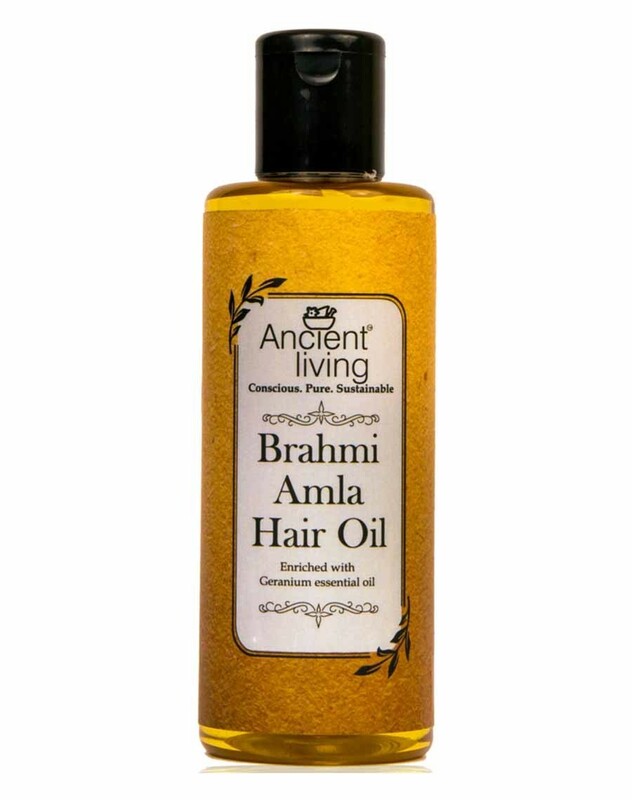 Ancient Living Brahmi Amla hair oil is potent hair oil processed as per the ancient method of Taila paka vidhi. It contains Brahmi Amla infused into a rich virgin coconut oil. Ayurveda describes Amla as Shriphala and Amritphala, a fruit which is not only auspicious but also highly nourishing. Amla is said to be a divaushadi, which is a divine plant. It is considered as one of the best herbs for hair care because of the high content of natural Vitamin C. Natural Coconut oil has a high content of lauric acid which is highly beneficial for hair. It is said to possess Keshya properties, which means it promotes healthy hair. Brahmi is an Adaptogenic Herb is known to be a Rejuvenator and relaxes the mind. In Ayurveda, it is recognised as a "Medhya" herb, which promotes focus. Geranium essential oil strengthens hair by nourishing and toning your scalp resulting in smooth, silky tresses.